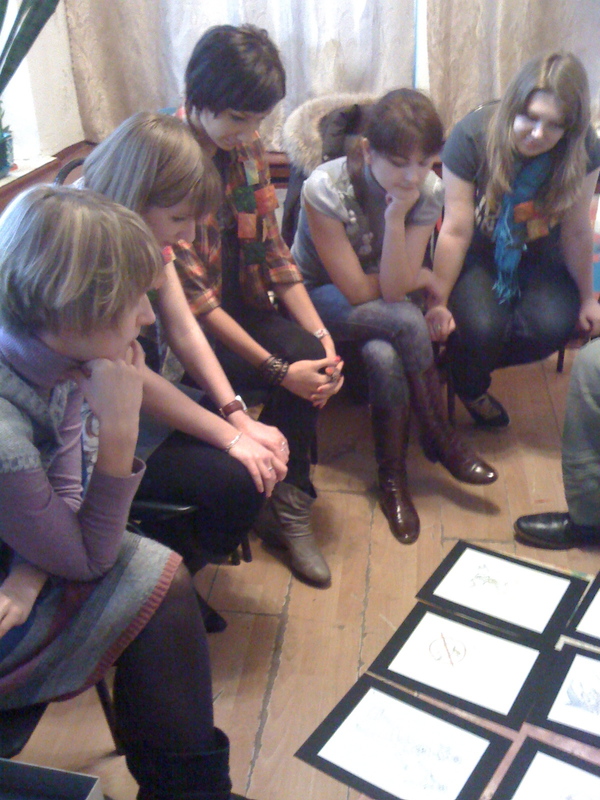 On our last Friday in Moscow, we conducted our first Russian focus group with the staff at Focus Media and Dance 4 Life. 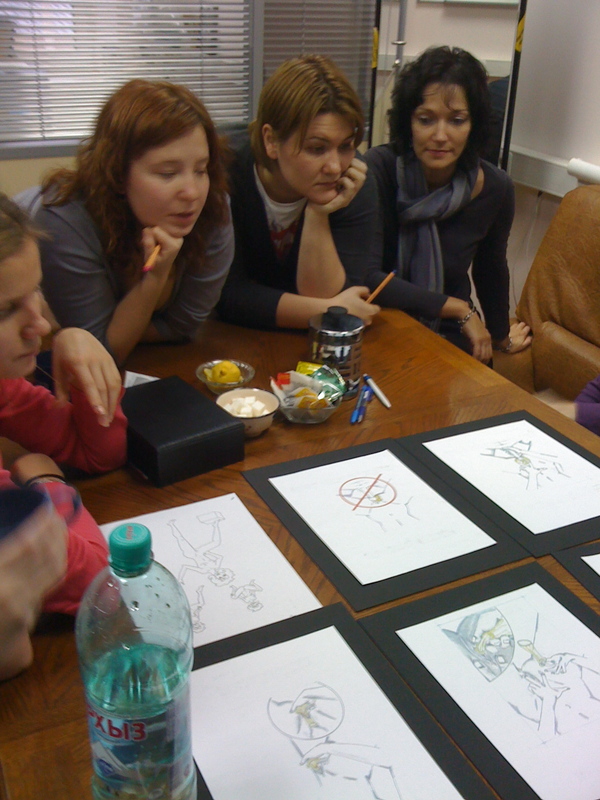 I loved hearing about how this group of urban Russian women related to the images shown. The animated characters, when placed in “natural” settings such as gardens or forests, were much more poorly received than if they were to be shown in cafes and shopping malls. 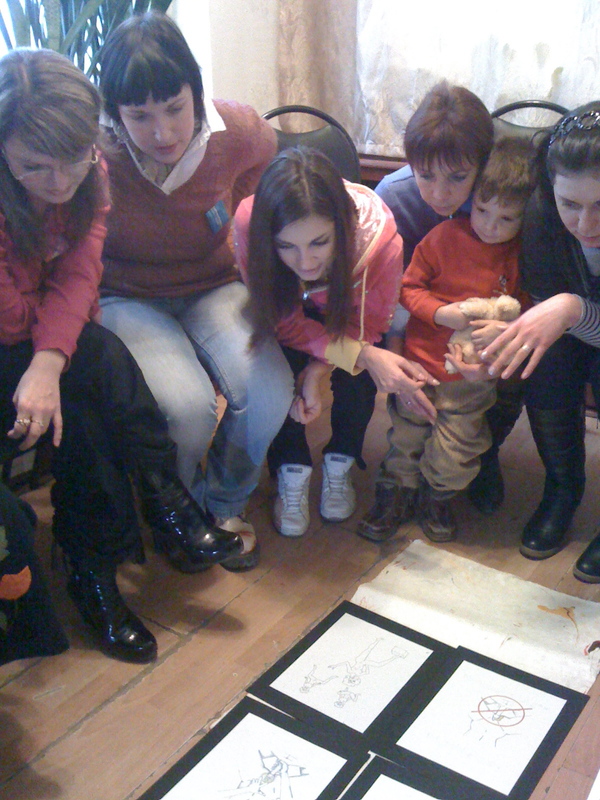 This group also had very strong opinions about language that should and should not be used in this educational animation, as well as a keen self-awareness about the reality of their own bodies versus how women’s bodies are shown (and somehow best related to) in popular Russian media. 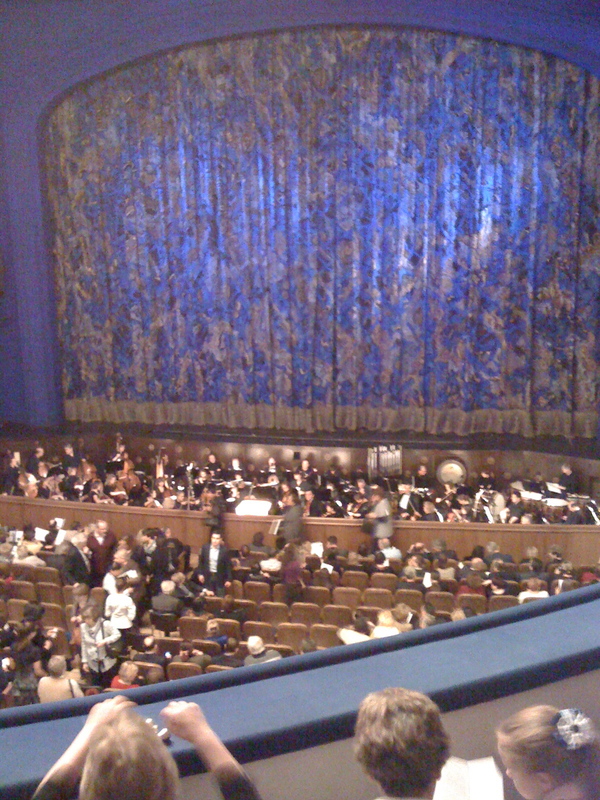 After our day with Focus Media and Dance 4 Life, we rushed off to The Brilliant Stanislavsky Ballet & Opera’s premiere of Esmerelda. I loved this show. I cannot explain in words how much – I grew up dancing, and I have never seen anyone express such intricate and tender emotions (self-censorship, timidity) in choreography as simple as a bourrée. 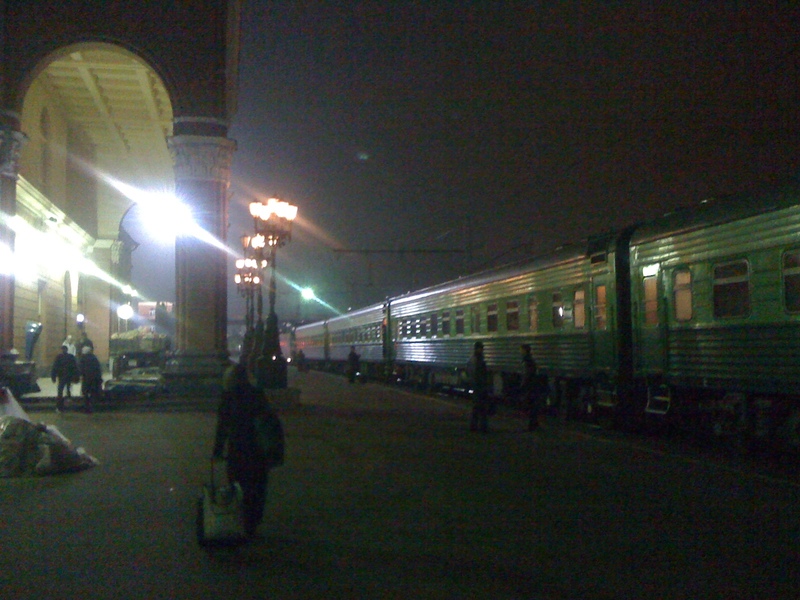 Between the two intermissions, I managed to sample every single hors d’oeuvre available in the building, then washed it all down with a celebratory glass of champagne 😉 After the ballet, we rushed off once again to catch our overnight train from Moscow to Oryol in the south, one of the oldest cities in the Russian Federation. We were preparing for 3 days of work with Phoenix Plus, a local AIDS service organization that won the prestigious United Nations Development Programme Red Ribbon Award in 2008. 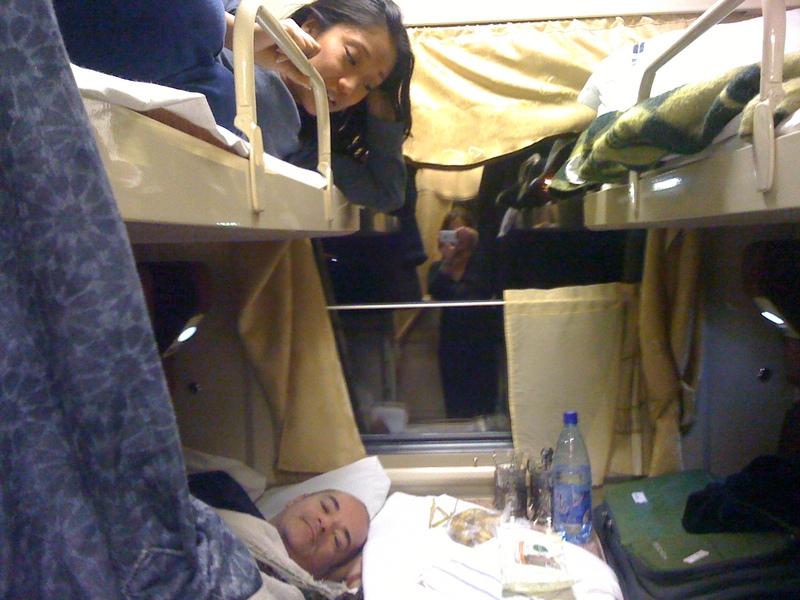 Our sleeper car was overseen by a wonderful conductress who brought us tea in glasses with intricately designed metal casings; we were told that these glasses are quite coveted by Russians because the train is the only place where one ever sees them. Our conductress made sure that we were not in need of anything before going to bed and gently woke us up before our stop in the morning, refilling our tea before we disembarked. 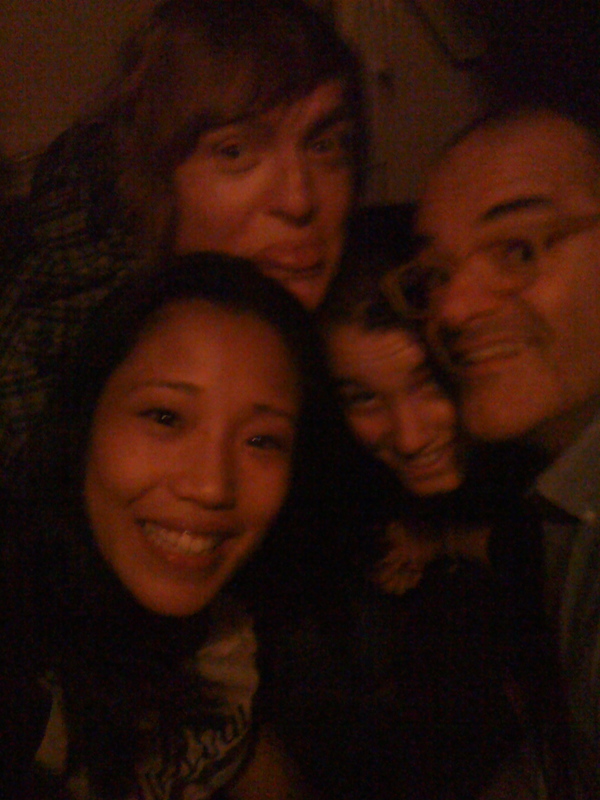 We arrived in beautiful Oryol in the very early morning, before the sun rose. Evgeny, our colleague from Phoenix Plus, helped us check in to our government hotel – which, over the years, had managed to maintain so much of the charm, dignity and sternness that were signature traits of the Soviet era. The next three days were filled with more focus groups. I was fascinated with how much more accepting the women in Oryol were (of both the images and the words used to describe them) than the women in Moscow. I also saw a palpable difference in the attitudes of the older men in Oryol (who had lived through some portion of the Soviet era) and the young men at the university, particularly toward women and other people who were seen as “different ” than they are. Living in New York City since 1997, I sometimes forget the differences in mind-set between people living in the cities, the suburbs and the rural areas within one country. I truly valued everyone’s feedback, and I found it particularly valuable to be able to witness the differences between these Russian cultures in such a short period of time. “There once was an old man who lived alone. One day, there was a knock at his door – he went to the door and saw that it was Happiness. He said to Happiness, “Go away, I didn’t invite you here!” And Happiness went away. Some time later, there was another knock at his door – he went to the door and saw this time that it was Riches. He said to Riches, “Go away, I didn’t invite you here!” And Riches went away.